Inca Trail Tour to Machu Picchu is one of the best and most famous trekking tours in the world, surrounded by a fascinating natural and cultural beauty. 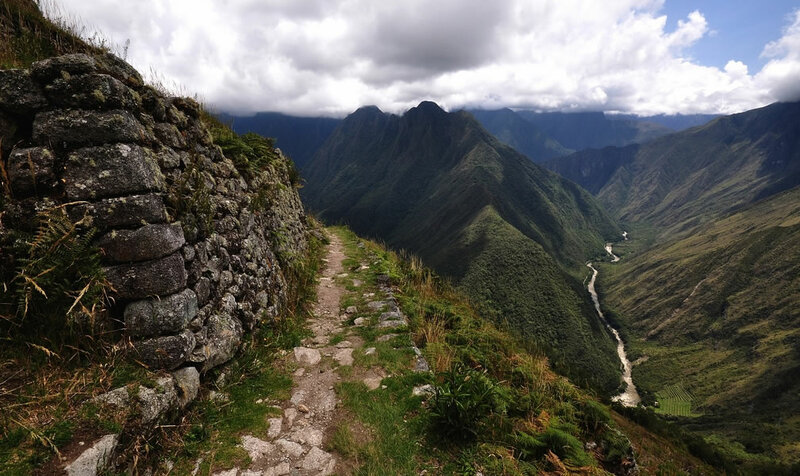 The whole Inca Trail Tour is 26 miles long (43 km). This route will guide you through different ecosystems ranging from the Andes Mountains to the forests of the high jungle and will give you opportunities to explore mysterious archaeological sites, some still covered with vegetation. It will give you a sense of discovering them for the first time. There are a lot of Inca Trails in Peru, the Incas were very well organized and were well known for building their system of routes. 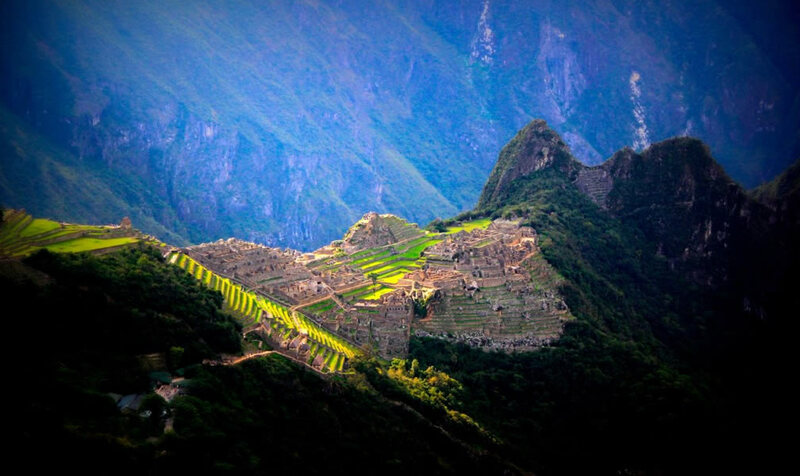 But certainly the Inca Trail which goes directly to Machu Picchu is one of the best options. By choosing this tour you will not only get to see the system of roads built by the inhabitants of Tawantinsuyu (Inca Empire), but you will also go directly through these roads to the famous "Lost City of the Incas." The whole trek ends with the stunning view of sunrise at the entrance to Machu Picchu and the ability to access the famous mountain Huayna Picchu. This tour has to be booked around 6 months in advance and in high season (March-September) tends to be overloaded. For travelers who failed to reserve in time for the Inca Trail Tour and for those who prefer locations with less traffic and more adventure, we suggest other tours like the Inca Jungle Tour or Salkantay trek. The first day of the Inca Trail we will pick you up from your hotel/hostel around 7:00 am and we will go by private bus to a place called the Km. 82. Here we will start the trekking which will take around 3 hours, to the archaeological complex of Llactapata. Along the way we will see different archaeological sites and interesting fauna and flora. You will also have the opportunity to admire the beautiful snowy peak of Veronica. Close to Llactapata we will have lunch and then we will continue to walk about 30 more minutes till the isolated community of Huayllabamba. We will arrive around 5:30 pm, set up the camp and prepare a delicious dinner for you that will be served around 7 pm. This day you will start with the sounds of birds and surrounded by lush nature. It will be a perfect place to enjoy breakfast, after which you will continue trekking on the amazing Inca trail. This part goes uphill about 4 hours until the highest point (Warmiwañusca 4,200 m.a.s.l.). Here you can admire spectacular views and observe different ecosystems. Around 2 pm after lunch you will descend for about 3 hours more, into the valley of Pacayamayo. 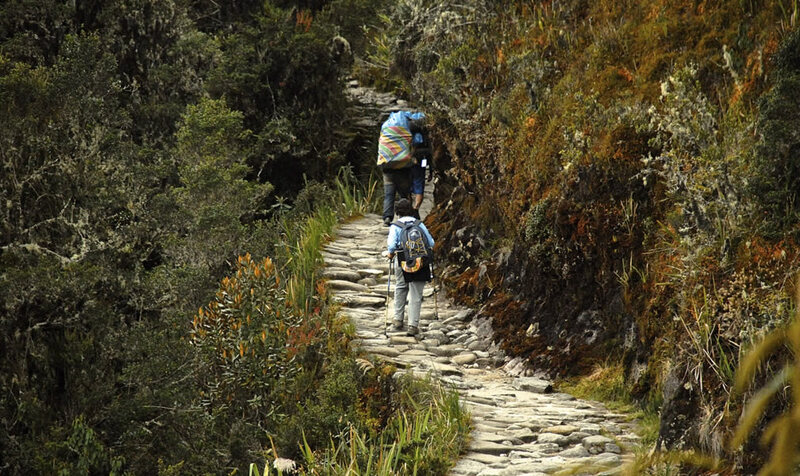 In this part the Inca Trail we pass through ancient stone roads, tunnels and wooden bridges. We will stop to camp near the river crossing. After arriving at the camp you will have a time to rest and after a while we will serve you a fresh dinner. After breakfast you will start the descent towards the second most important pass of the trail at 3,950 m.a.s.l. This day you will explore the archaeological complex of Runkurakay and the Inca city of Sayacmarca. Later we will walk to the village of Puya Patamarka, where you will enjoy a delicious typical lunch and after a break the group will continue walking for around 2 hours more to reach the impressive archaeological complex of Wiñay Huayna. Close to this place, we will make camp. Around 7 pm you will have a dinner, after which you will have time to enjoy an evening full of stars. The final day we will start very early, around 5.00 am. After breakfast we will walk around 1-2 hours to the Inti Punku (Sun Gate), from here there is the most impressive view of Machu Picchu. If we arrive there early enough, you will also be able to admire the beauty of sunrise above the ruins. After passing the entrance to Machu Picchu you will have a guided tour for around 2 hours. You will feel like you are in a different time, in the times of Incas. You will see the most important places in the archeological complex such as the Main Plaza, the Circular Tower, the Sacred Sun Dial, the Royal Quarters, the Temple of the Three Windows, as well as learn about the history and culture of Inca Empire. After this you will have time to explore Machu Picchu on your own. The travelers that booked the additional mountain Huayna Picchu or Alternative Mountain (Montana Vieja) will be able to start trekking after the guided tour. Note that it will take around 45 minutes to reach the top. The way to the top is very steep and narrow, but it is worth the extra effort, especially since the view from the top is absolutely breathtaking. Climbing up Alternative Mountain (Montana Vieja) will take you about 2 hours, but the route is not as steep as Huayna Picchu, although this mountain is higher. Remember that the entrance tickets to Huayna Picchu and Alternative Mountain (Montana Vieja) are for a specific time, so be in front of the entrance gate on time, otherwise you will lose the opportunity to explore these additional mountains. Remember also, that from Machu Picchu to the train station in Aguas Calientes you will descend on your own, without the tour guide. Note that you have to be at the train station in Aguas Calientes at least 30 minutes before departure. After visiting Machu Picchu you will go by train to Ollantaytambo where you will be picked up and transferred to Cusco city by bus. Your Inca Trail journey will end in the Plaza de Armas, in Cusco. * Picking you up from hotel/hostel in Cusco. * The tour itinerary may change without notice, among others because of the weather conditions, problems with participants (for example due to the illnesses, accidents, physical condition, etc). This means, that the tour guide can change the route during the tour. ** We can not guarantee that you will camp in Wiñaywayna because it is regulated by Regional Directorate of Culture. By booking the tour you are accepting these conditions. ** By hiring an extra porter you are contributing in the development of the economy of the region and to the local communities.